Gerald Tremblay has resigned. It was about time. I love you Montreal, but I just don’t know if you can dig yourself out of the corruption. I hope this is a step in the right direction, but until some concrete changes are made, I remain unimpressed. 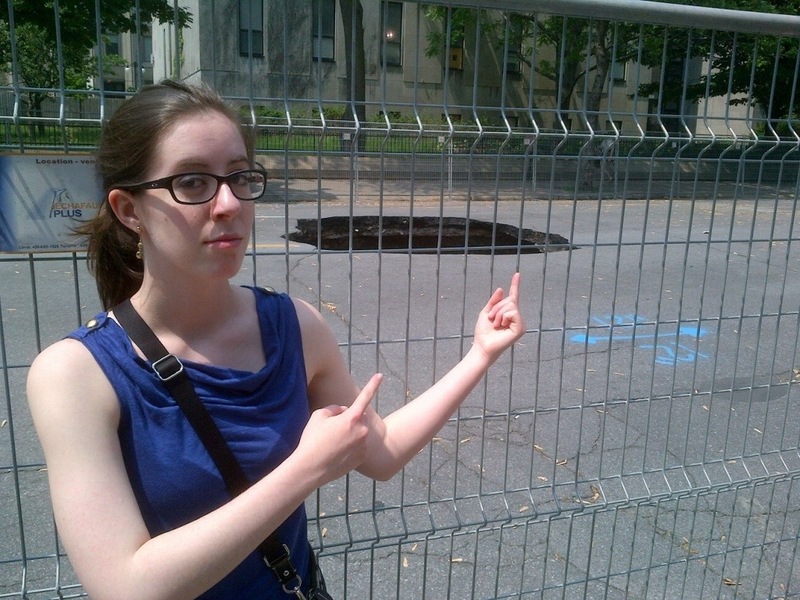 That’s me in May, not impressed, near one of many sinkholes in the downtown core. That thing could have swallowed a car. Corrupt engineers especially don’t impress me.